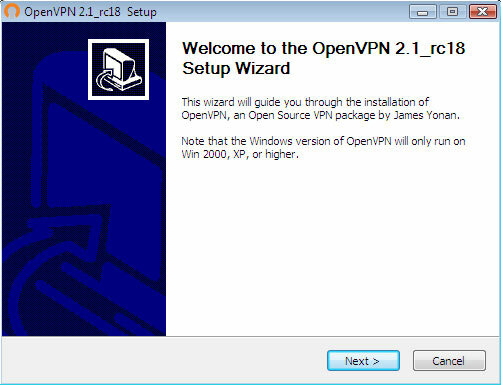 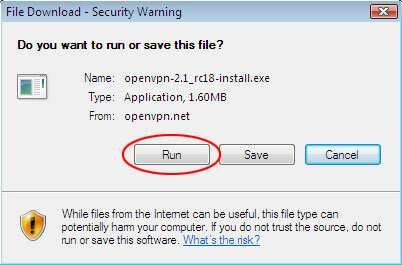 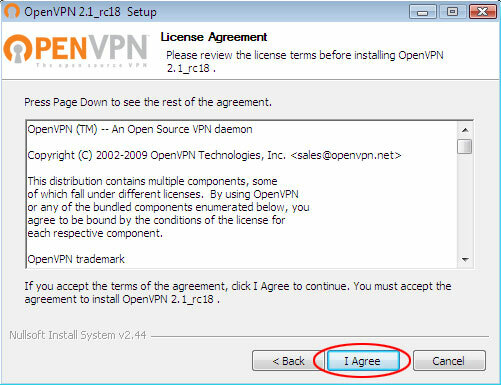 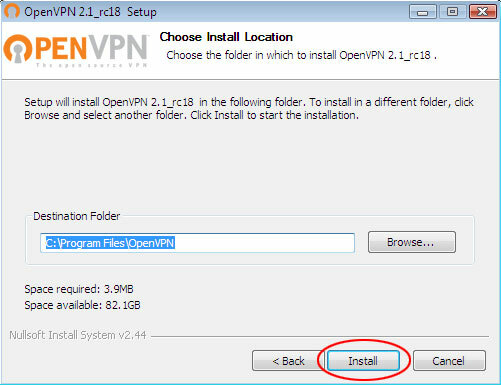 Download the latest OpenVPN version from here. 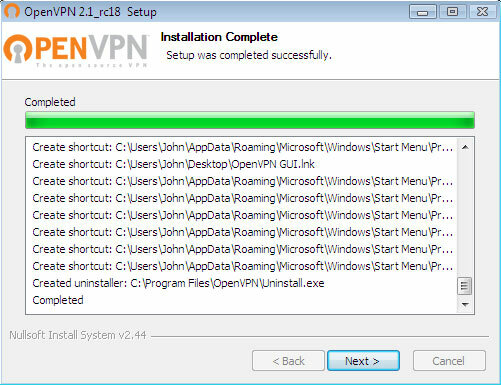 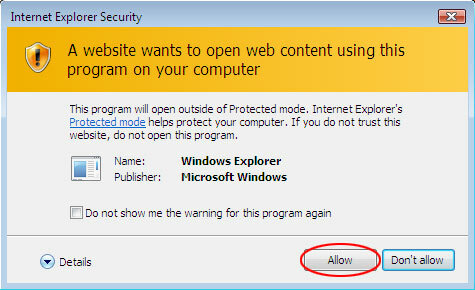 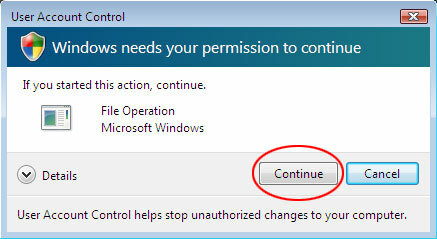 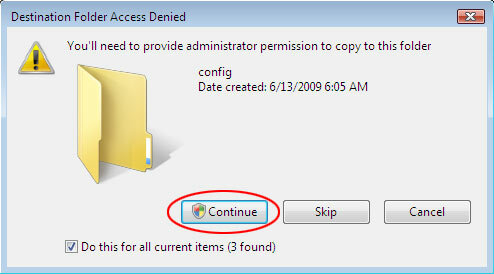 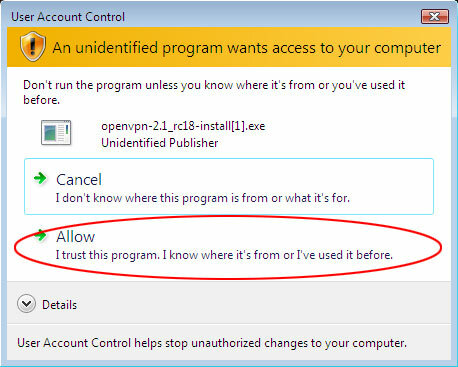 Allow the application to install. 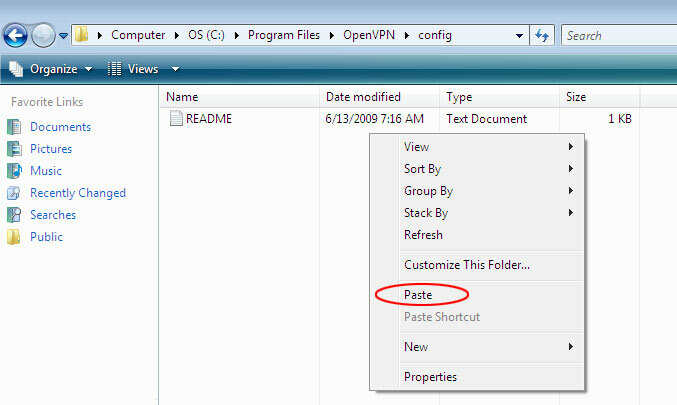 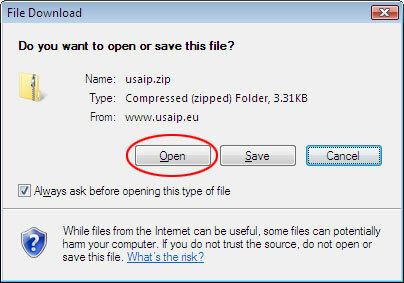 Copy the contents of the zip file. 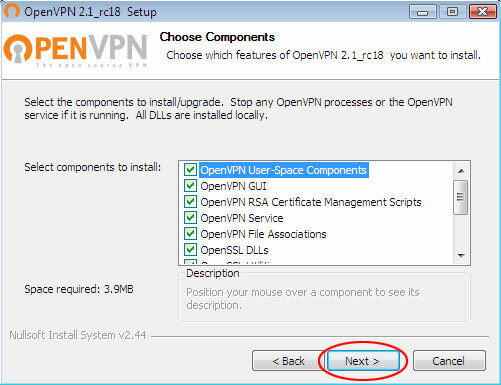 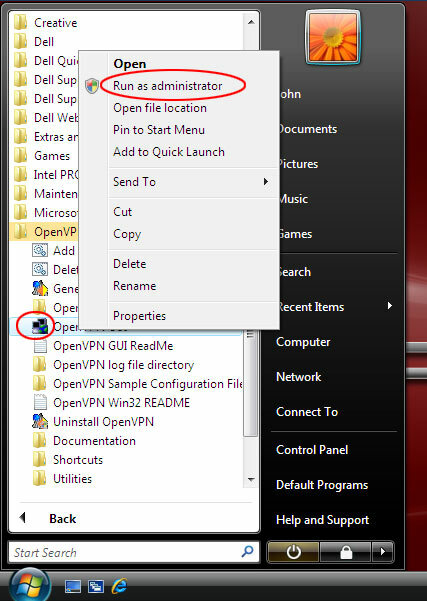 To disconnect, right click the OpenVPN icon in the lower right corner of the screen.